As experienced tax advisers, our objective is to work closely with you to ensure that you pay the minimum tax required by law. 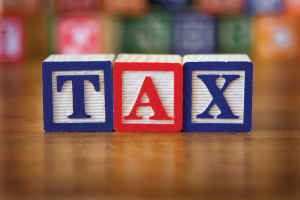 We can help you to plan ahead and conduct your affairs in a tax efficient way. Our approach is different to traditional accountants; we want you to pay more tax by helping you increase your profits. However, at the same time as helping you increase profits (and the amount of tax you pay) we want to keep the percentage of tax as low as possible. We have developed a comprehensive tax planning approach which covers everything from the basics to advance tax planning. We also handle tax investigations including attending meetings and negotiating settlements. Whitegates Accountants will prepare business and personal tax returns, monitor deadlines and provide tax forecasts so you can budget for your tax. If you are in Blackpool or the surrounding areas then contact Whitegates Accountants today on 01253 399366 for more information about taxation!